The City Hall tower as seen from the inner-courtyard. 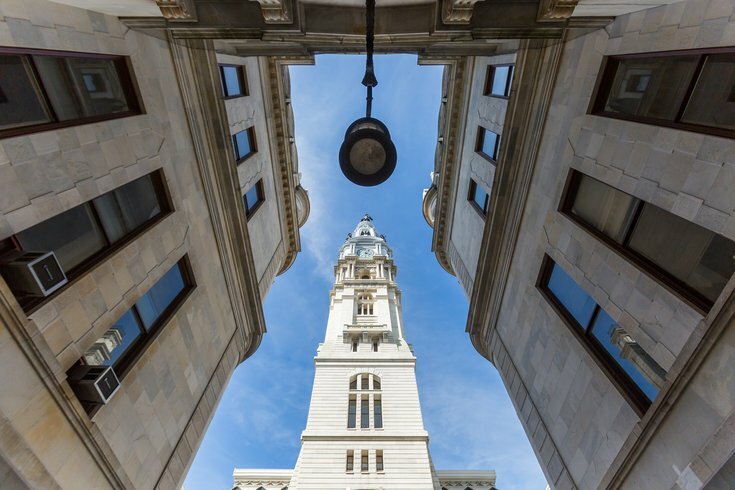 A routine audit at the Philadelphia marriage license bureau found that almost $150,000 in cash was missing, sparking an investigation by the Philadelphia Register of Wills' office. Auditor General Eugene DiPasquale told WHYY that officials found altered and manipulated receipts, leading them to the discovery. There were also cases in which receipts were missing entirely. The misuse of public funds is disheartening—but what is promising is that my audit detected missing funds, and improvements were made to the system to better protect public monies. That's how audits are supposed to work. After informing the office of the suspected foul play, one employee, suspected of the crime, was terminated. Register of Wills Ron Donatucci said in a statement that he is confident the problem has been addressed. He added that last year, officials stopped accepting cash payment for marriage licenses. So far, no criminal charges have been filed but the investigation is ongoing.